Got a little spare cash in your pockets? There is a Kickstarter project that could use your help. Though not necessarily a professional mechanics’ tool, this device could fit nicely in your jump pack or as a spare set in your tool box. 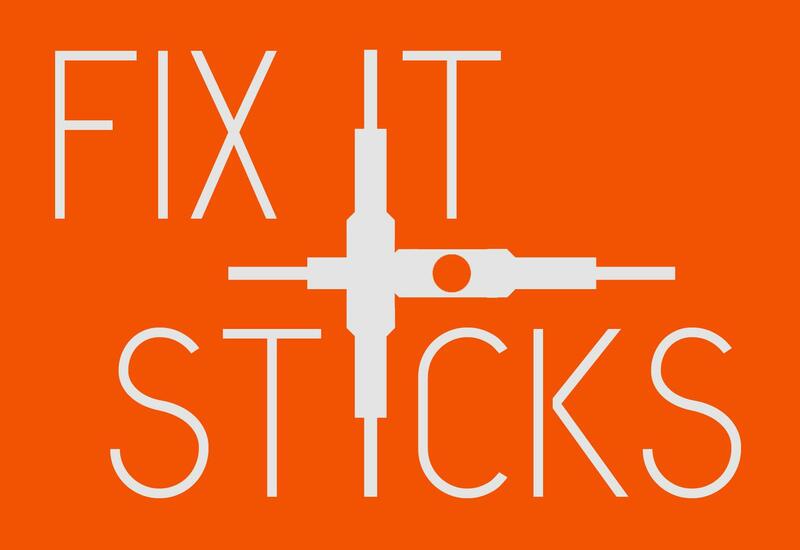 Fix It Sticks appear to be lightweight, modular and customizable. For more information, check out their Kickstarter page. While we are talking about compact tools, what is your mini or multi tool of choice? Leave us a comment below. Posted on 26th November, by CClinton in RaceCircuit, Tools. Comments Off on Are your tools secure? According to an article on Velonews.com Cal Giant-Specialized’s team van was broken into in Santa Cruz and a few items were stolen. Listed were some wheels and Jordi Cortes’ personal tools. Luckily he had locked up the bikes which may have prevented them from being stolen. A lot of specialty tools exist for bicycles, tools you can’t find at your local hardware store. These tools tend to come from companies like Park Tool and Pedros who specialize in bicycle specific solutions. Once in a while we find a solution from another industry and many times that comes from motorcycles. A little over a decade ago those of us working on mountain bikes found wire tools to be optimal for keeping grips from slipping from the bar. Luckily, a short time later, grip manufacturers began including hardware that secured the grips to the bar allowing us to remove that hefty tool and the small bail of wire. An example can be found here. Calipers, ruler and pen in one – The Messograf is this and more. Check them out at Passion4Pens. BucketVac – turns a 5 gallon bucket into shop vac. New Inner/Outer reemer – Its time to unload my trusty red barrel reamer for one of these from Ridgid. More cutting surfaces and they don’t look as ‘cheap’. Its that time of year again, the time for Interbike where the bicycle industry presents the following year’s goodies to the bicycle retailers. With that in mind we hit Vegas to check out what’s new in tools and to see what other items may affect the race mechanic. Shimano XT Anniversary – Can you believe that XT has been around for 25 years? Let’s hear it for mountain bike racing…check out the 2008 XT component group here. Tool Companies – Each year more tool companies appear at the show. Some of them stick around for a while, others never really make it to US distribution. This year we visited the booths of Park Tool, Pedros, IceToolz, Unior, and Cyclus. New tools for the 2006 racing season. One of the most common mountain bike complaints is the consistent rubbing of the rotor on the caliper. Park Tool has joined the efforts to fight rotor drag with the DT-2. Its easy to hold and does a better job of straightening rotors than a wrench and without creating bite marks. Can’t find the exact spot to straighten? Use the new DT-3 with your truing stand to pinpoint the exact spot. Another year, another Interbike. The bike industry gathered in Vegas again this fall to show off items that will soon be hitting the shelves. As in previous years the folks at ProMechanics hit the floor looking for tools and other items designed to make your life, the life of a race mechanic, easier. Five tools that every mechanic must have for 2003. This will be the savior for all you clincher teams out there. Make sure you have one of these before your next tire mounting session as it will prevent pinching tubes and reduce the soreness and cramps you get from installing hundred of tires.